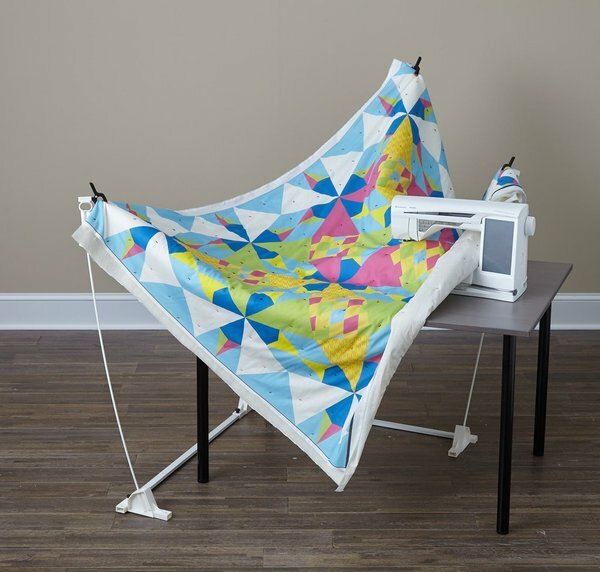 Set under any sewing table, The Weightless Quilter rises above the machine to hold the quilt and allow it to move freely while you concentrate on creating beautiful quilting stitches. 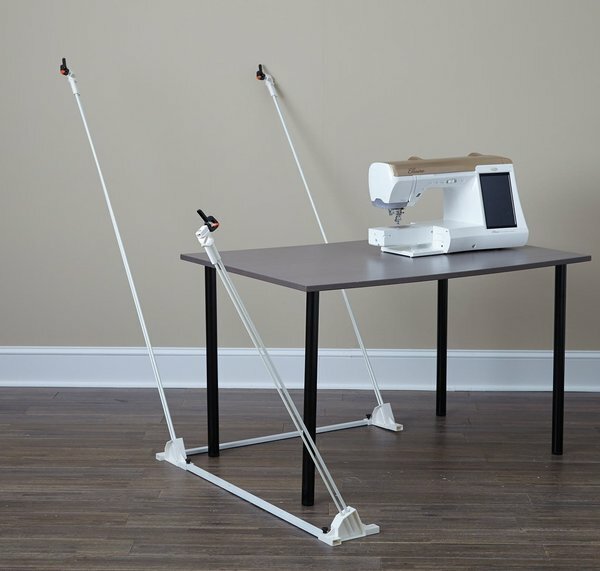 The Weightless Quilter's small footprint (36" x 36") fits under a sewing cabinet or table and assembles in less than 10 minutes without tools. 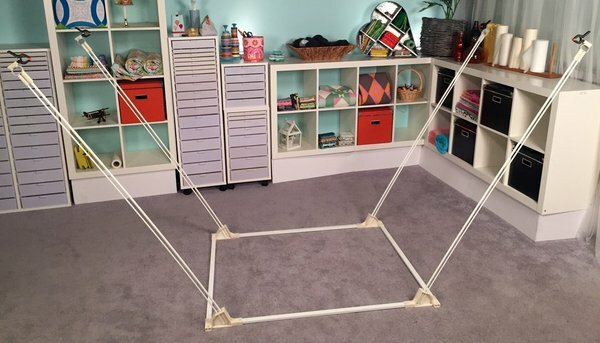 Eight Flex poles provide three levels of lift capacity: lightweight (thinner poles); medium (thicker poles); firm (combination of lightweight and medium poles). 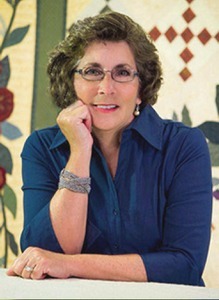 Most quilts will use the light weight lift capacity but heavier fabrics and batting may benefit from medium or heavy lift. 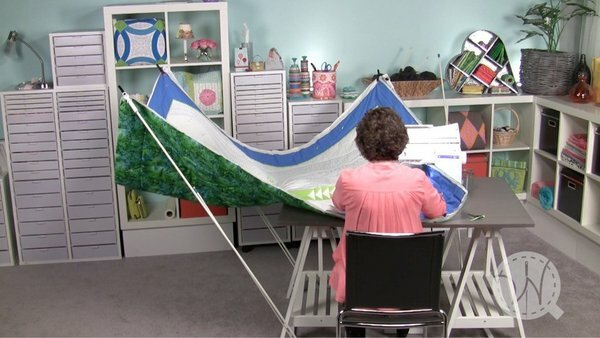 The Weightless Quilter - YouTube. 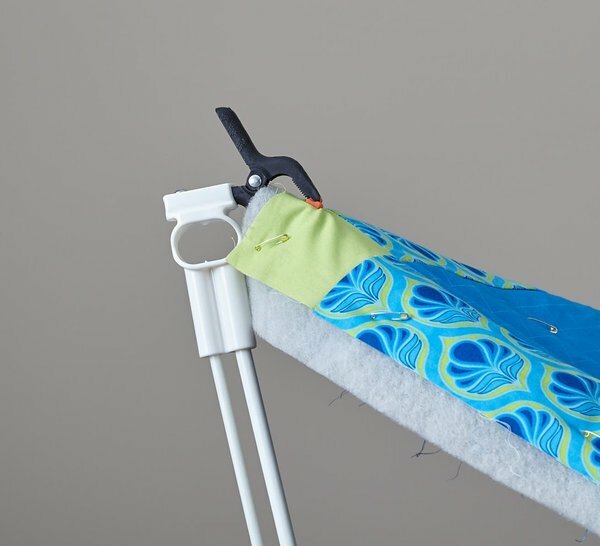 Flexpoles mimic movement while holding your quilt above the machine bed. Very short video. 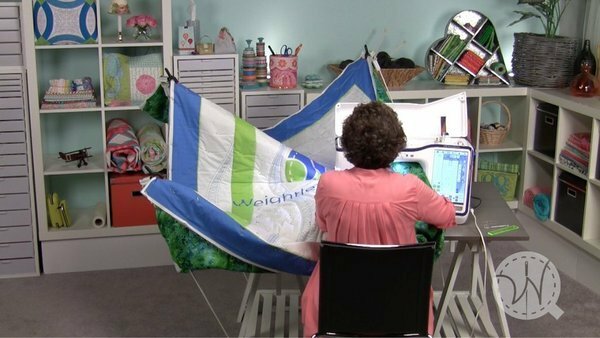 The Weightless Quilter Houston Quilt Festival 2016! 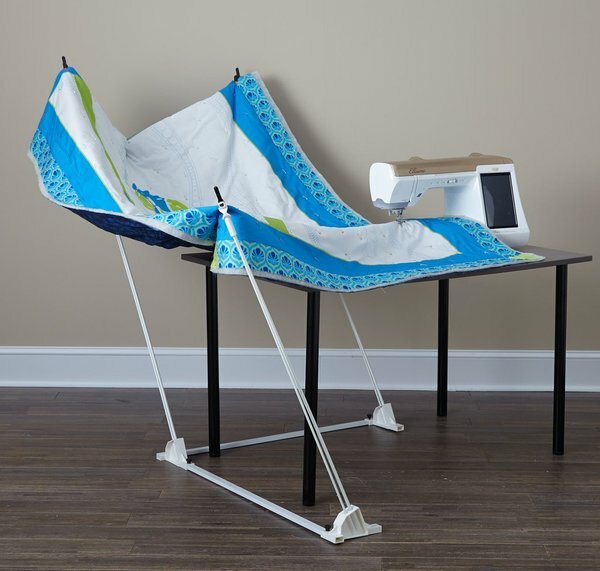 DIME Weightless Quilter, Floor Standing Quilt Holding Frame 36x36"
Wish the Weightless Quilter had better instructions. The small pamphlet that was stuck at the bottom of the box (and was torn from shipping) should have had better written instructions, but that is DIMES responsibility, not Allbrands. Thanks for promptly sending the package. 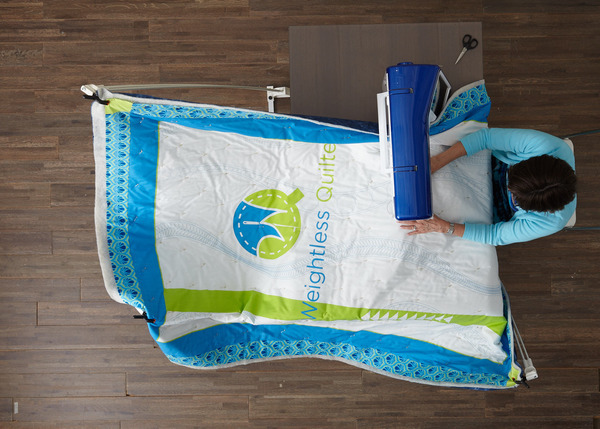 <p>Claudia, here are some links below and an attachment from Eileen Roche, developer of Weightless Quilter <P>Thank you! I will print ou the pdf and throw out the torn pamphlet. Outstanding service!